Taking a Ford to work is about to mean something totally different in the San Francisco Bay Area. The car manufacturer announced on Friday it will be sponsoring the Bay Area Bike Share program's expansion, which will bring a total up 7,000 bikes -- up from 700 -- to the region. 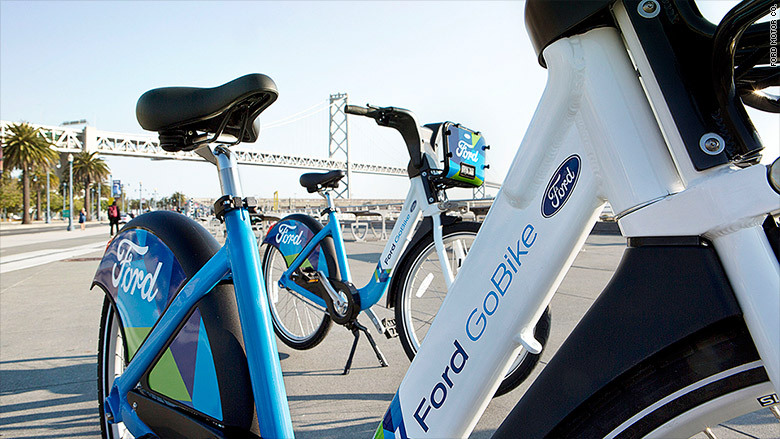 While the new bikes will start hitting the pavement in spring 2017, the San Francisco area will boast the second largest bikeshare network (behind New York) in the U.S. by the end of 2018, thanks to the Ford partnership. The name of the system -- which is run by bikeshare network startup Motivate -- will change to Ford GoBike. Access to the bikeshare network, such as renting a bike for the day, will be accessible via a Ford app. "It's going to have a profound impact on how people move around the Bay Area," said Motivate spokeswoman Dani Simons. "This will reach every few blocks in San Francisco, from the bay to the beach." 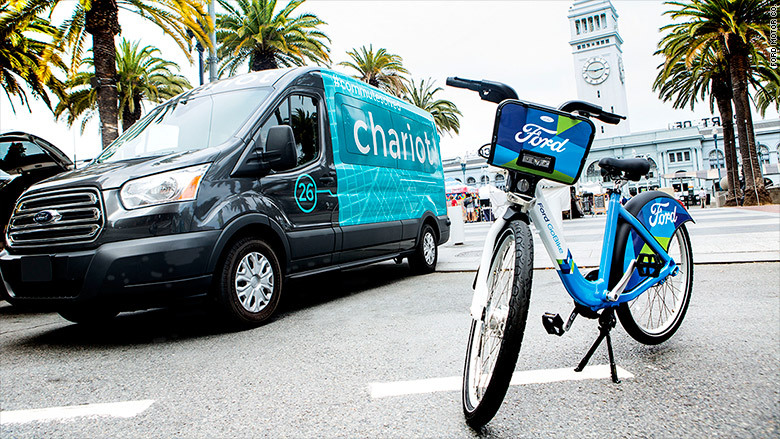 Simons said it will work closely with Ford on research and development for the bikeshare program, and use the car company's technology to improve the overall experience. Unlimited rides will be offered for $14.95 a month, while a discounted rate of $5 a month will be offered to low-income residents. 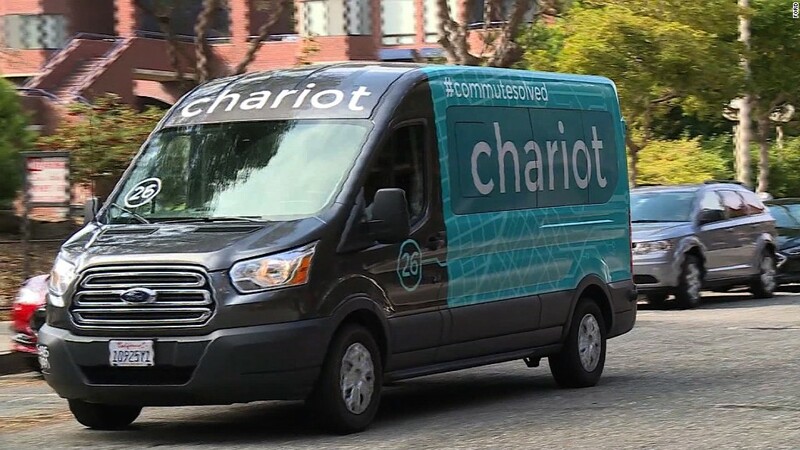 Ford (F) also announced this week it is acquiring Chariot, a shuttle service based in San Francisco. The move is a reminder of Ford's interest in defining itself not as a car company but as a mobility company. In addition, Ford is investing in multi-modal transportation and autonomous vehicles, as tech and transportation experts forecast huge changes in how we get around cities.